It all started 60 million shirts ago in 1956. Over the last few decades Sangar has been in passionate tansition. To make a smooth headway through market fluctuations, Sangar is using several business models in synergy: retail and web sales, manufacturing uniforms under Formo shirts brand, making exclusive made-to-measure shirts, and being both inbound and outbound outsourcing partner. On the retail side the company operates shirt and menswear stores in Estonia, and webstores sangar.ee and oscar1949.com. The webstores cover Estonia, Sweden, Finland, Latvia, and Lithuania, with occasional orders coming from all over the world. In-house research, developing and manufacturing still form the backbone of the company. Having both the design and sewing lines in-house is a rare find and a very strong asset when it comes to uniforms and private label shirts. The production capabilities are optimized in cooperation with partner shirt factories in Poland and Ukraine, while most of the fabrics come from well-established textile manufacturers in Italy and Egypt. Ever since 1990s, Sangar has produced shirts and other apparel for major Scandinavian brands, offering highest precision, ISO-certified quality and fast route to final production. 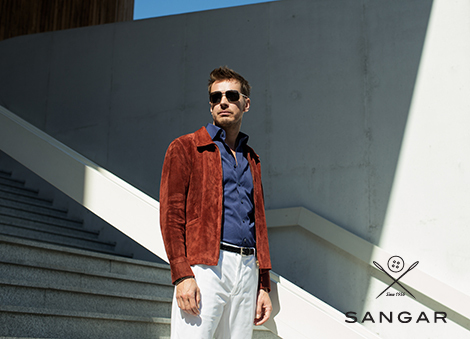 Working with international companies has polished the style and quality of Sangar´s shirts. Sangar has been manufacturing fine button-down shirts in Estonia since 1956. The man who put a start to this success story all these years ago is Jüri Kraft. He became the director of the factory at the age of 28 and firmly guided it through tough times. Even today, the company is run by Vahur Kraft and Gunnar Kraft, Jüri Kraft's nephew and son. 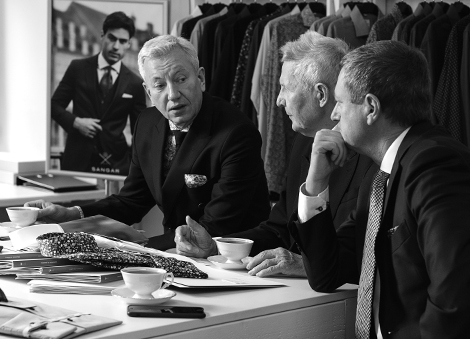 Excellence in quality, responsibility for the employees and respect for the family traditions are the driving force behind the elegant shirts that you can wear with pride. While the company keeps offering services as an outsourcing partner, it is expanding the international sales of its own shirts brands. A few years ago the company acquired a reputable Swedish shirt brand Oscar of Sweden, established in 1949. Besides craftmanship and carefully picked textiles, Sangar and Oscar of Sweden have something special to offer - the most advanced measurement scale, which provides a tailor-made shirt experience to most gentlemen. Besides our own brands, we make shirts and corporate wear for business customers. If you want to order custom made corporate shirts, please look up a contact from Formo Shirts webpage.